Every now and again I get asked to work on photographs that haven’t stood the test of time very well. The oldest of these was a job I was asked to do a few weeks ago. A lady contacted me and then brought a photo round to my studio that was dated 1920 and very badly damaged. I firstly scanned the photograph to give me a digital “before” image and then took this copy into Photoshop to work on. Over a period of several hours I was able to restore the photo to achieve the “after” copy you will see below. 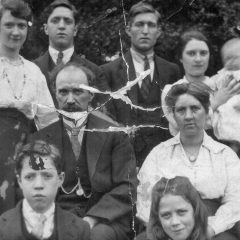 Photo restoration is a skillful part of what I do but unfortunately photography of 100 years ago and sometimes the size of the print brought to me make it difficult to bring back every little bit of detail. 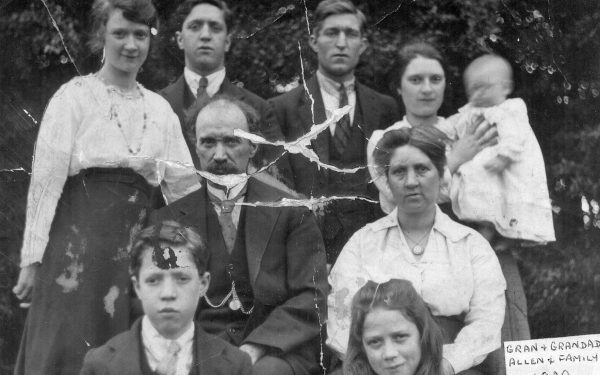 Taking someone’s treasured family photographic memories and restoring them to as close to their former glory as possible is very rewarding and I love the looks on my clients’ faces when they see the original and the restoration I’ve been able to achieve. If you have any ripped, creased or generally time battered photos you want restored I can help. To see the images full size simply click on them to enlarge.